The James Daniel Dance Band is the area’s most exciting party, dance band! These highly accomplished musicians have worked with some of today’s most well-known artists such as Bruno Mars, John Legend, Justin Timberlake, Rihanna, Usher, Beyonce, Pharell, 60s, Motown, 70s, 80s classics. For over 20 years, our most-requested band has been providing entertainment for corporate events, weddings and private parties. With energetic vocals, the hottest of horns and a tight rhythm section, this band will keep your crowd dancing the night away. Bandleader Anthony has always been passionate about the the music he grew up with while living in New York. Today, his band Street Life is in it’s 20th year of a successful run performing at weddings, private functions and corporate events. “Sticking to the classics that everyone knows and loves is what we do best." A Compilation of some of the best trained, professional musicians in the area! Playing everything from Nat King Cole classics and Gershwin love songs, to Stevie Wonder, Justin Timberlake and Maroon 5, to name just a few, the Jeff Hall Band fits any event. A perfect treatment of “The Great American Songbook” with influences of Gershwin, Porter, and Jobin to name a few. Add to that, vocals in the tradition of Ella, Nat, Peggy, Frank, and Sarah to more progressive artists such as Al Jarreau, Diana Krall, Bobby Caldwell, Nora Jones and James Ingram. Let Paul’s Jazz Ensemble entertain your next event! The James Daniel Jazz Trio has been entertaining satisfied audiences for nearly 30 years. Their warm, full bodied brand of classic jazz focuses on influences from Duke Ellington, John Coltrane, Miles Davis and more. This group is both interesting and easy to listen to. From ‘Autumn Leaves’ to ‘Yesterdays’ the James Daniel Jazz Trio performs the best of Jazz. 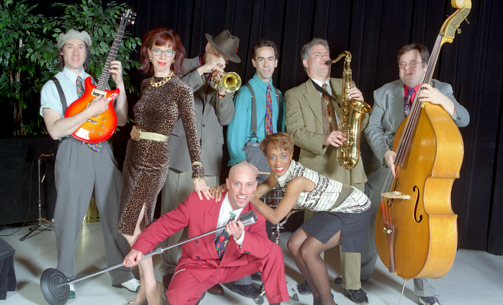 Bobby’s Group of Musicians take Chicago based R&B and Blues influenced by Legends such as Jimmy McGriff and Oscar Peterson, then add a jazz and latin twist for a more contemporary sound such as Steely Dan and Herbie Hancock. From the Wedding March to Trumpet Voluntary; Vivaldi's Spring to Jesu Joy of Man's Desiring and Ode to Joy, our Classical Ensembles deliver the timeless masterpieces that add a touch of elegance to your wedding entrance and recessional. Our Classical Ensembles are also fitting as background music for a wedding cocktail hour, corporate event, or any setting where classical music is suitable. One of the original Fast Fingers Orchestra musicians, Ted has been playing some of the most popular songs of the 70s, 80s, 90s and modern hits since 1974. His warmth and welcoming personality will get the audience singing along and enjoying their time. Ted brings a soulful style with the experience of having been in the entertainment business since 1974. Mike has more than 20 years experience playing piano in the Tri-state area. His style of piano has been influenced by artists such as Billy Joel and Elton John. His repertoire includes classic pop, rock as well as standards from Frank Sinatra, and Michael Buble. His versatility makes for a fantastic evening that appeals to all ages and music tastes. Grab a Corona and a lounge chair! The Breakers are back in town with the best summer songs form Jimmy Buffett, Bob Marley and The Beach Boys. Also on top are The Beatles, Motown and some great Classic Rock like Sweet Home Alabama, Love The One Your With, and many more. The perfect band for your Summer party! Lead vocalist and bandleader, Franky, has earned international acclaim performing Reggae, Soca, R&B, and classic Rock on tour in the Caribbean, U.S., England, Canada, and Japan. For over 20 years, he has enlivened his audiences at clubs, weddings, bars, and private events.